A couple of years ago, delicata squash were nowhere to be found. Where did they come from and how did I exist on Thanksgivings past without them? They are now my favorite winter squash. 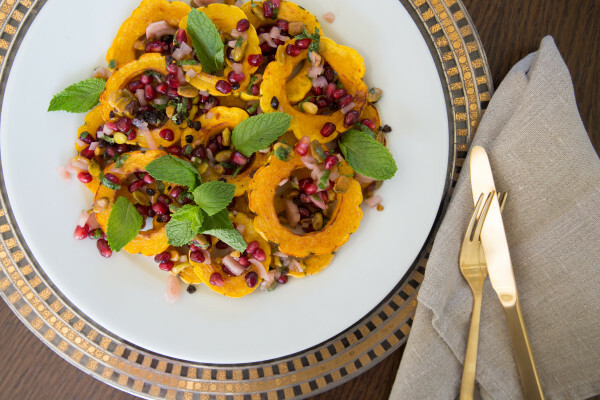 Delicata squashes seem fancy, but they’re a Thanksgiving cook’s dream come true: seasonal, delicious, versatile and NO PEELING! And you can eat the skin! 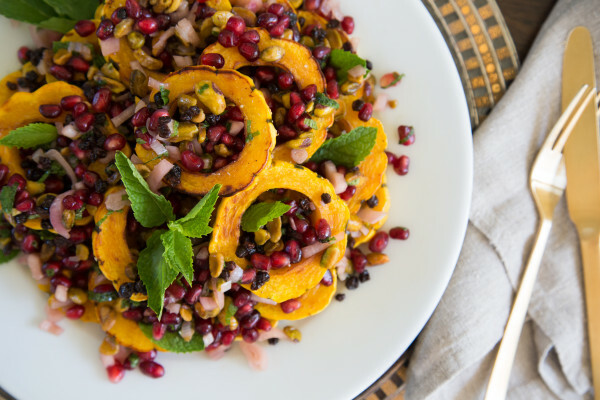 My favorite fall salad in the last decade is this Roasted Delicata Squash and Apple Salad. It’s on my menu again this year and I personally fill up most of my dinner plate with it, I love it that much. 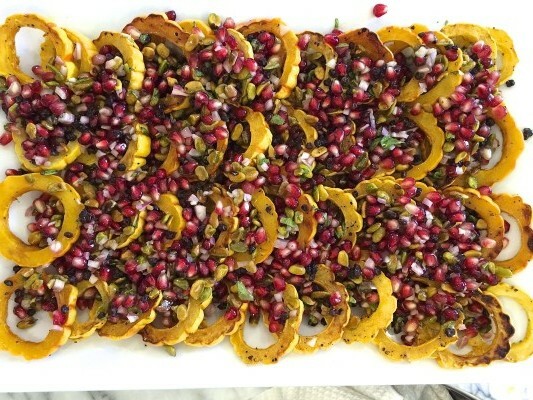 But last year, I taught this delicata squash side dish in my Thanksgiving classes and I had a new crush. Sweet and tender squash rounds, as pretty as can be, with a sweet-tart-crunchy-juicy relish are the perfect side next to roasted turkey. And it’s such a beautiful presentation. I could even do without cranberry sauce and just eat this relish. I don’t normally mention nutrition too much when discussing Thanksgiving because it’s the one day I let that go. 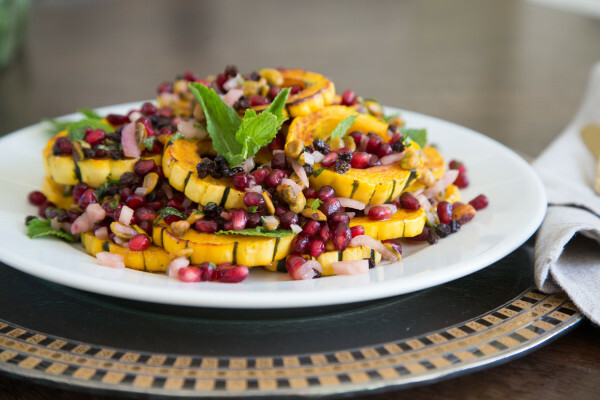 But this dish is definitely lighter fare and tops in vitamins, fiber and antioxidants. And it makes the best leftovers! The next day I chop up the squash and toss it with the relish and either put it on top of greens or quinoa. A little feta is nice, too. Whereas some Thanksgiving recipes are one-hit wonders, this one I can make all fall for weeknight dinners or dinner parties. 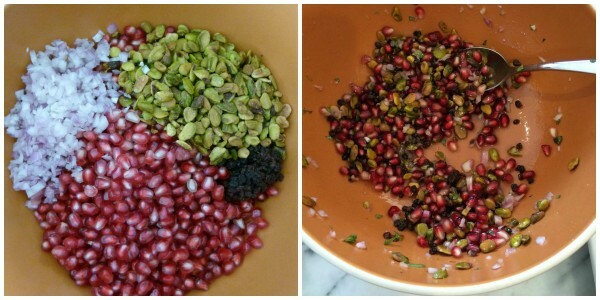 Seed pomegranate 2 days before and refrigerate. Wash, dry and cut squash the day before and refrigerate. Make relish day the day before and refrigerate. Roast squash before the turkey goes in the oven and allow to sit at room temperature until serving. Then you’re just assembling right before dinner. Tune in on Thursday for another planning post — 2 weeks and counting! Thank you for letting me know!! So nice to hear! These look yummy. 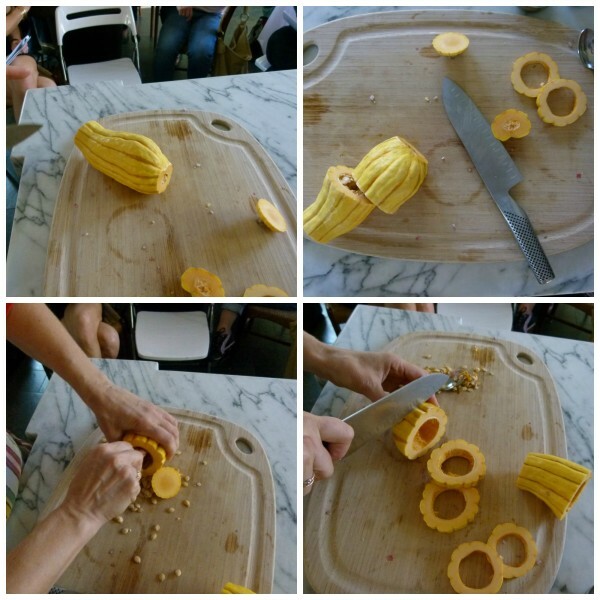 I love delicata squash. Can the skin be eaten? Yes, the skin can be eaten which is why I love it so much for Thanksgiving — no peeling! I’m beyond excited! 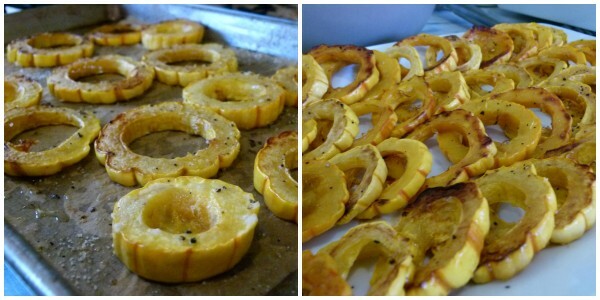 I have been roasting delicata squash since you first introduced it to me last year in class. I’ll make this this weekend for my tennis team and then again for thanksgiving!!!! Thank you Pamela.